When one thinks of Australian music, Rockabilly is not the first musical style that comes to mind. People outside of Oz may initially think of AC/DC’s Hard Rock riffage or Men At Work’s breezy New Wave/Pop but very few know about the Land Down Under’s affection for Country and Roots music. While many Aussie artists are influenced by traditional Australian Roots and Folk alongside ‘foreign’ sounds from the UK and America, there are those that go straight for the jugular and delve into the musical roots of American Country and Rock ‘n’ Roll. Singer/songwriter Scotty Baker is one of those artists. Somewhere between the time Country & Western Music became a phenomenon in the early 1950s and the birth of Rock ‘n’ Roll at the midpoint of that decade, Rockabilly was born. Essentially a combination of the sounds of Rock and Hillbilly music (hence the name), Rockabilly became the breeding ground for hundreds of artists including Elvis Presley, Johnny Cash, Carl Perkins, Roy Orbison and other artists signed to Sun Records (and other independent labels across the U.S.). 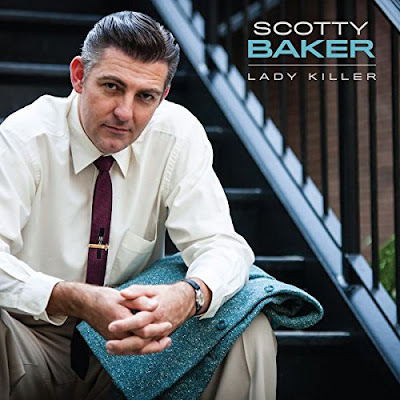 These are the artists that inform the music of Scotty Baker and his fabulous new album LADY KILLER, an emotionally charged slice of Rockabilly that feels authentic, passionate and full of energy. Like his first two albums – JUST LIKE THAT (2010) and I’M CALLING IT (2014) – LADY KILLER is filled with fantastic songs straight from the pen of Baker himself. While most would compare him to early Johnny Cash (and rightly so), his music also possesses the emotional depth of Roy Orbison, which is perhaps the most important aspect of his recordings. Scotty Baker doesn’t just play Rockabilly or Country - he lives within the music he creates. 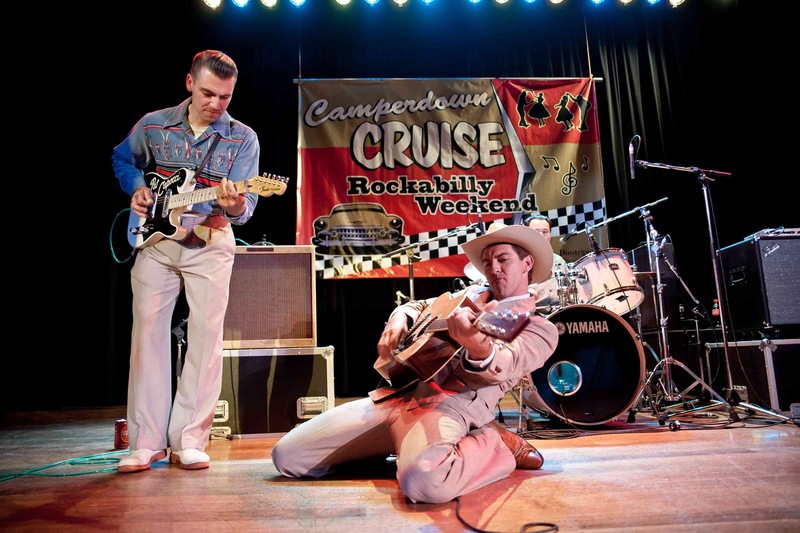 He is an artist that adds his own stamp to the tried and true Rockabilly formula and truly shines in the process. LADY KILLER is a Rockabilly treasure that comes from the heart and that is what makes it special. Stephen SPAZ Schnee was able to send off some questions to Scotty, who graciously took the time to answer them. Ladies and gentlemen, I’d like you to meet Scotty Baker! 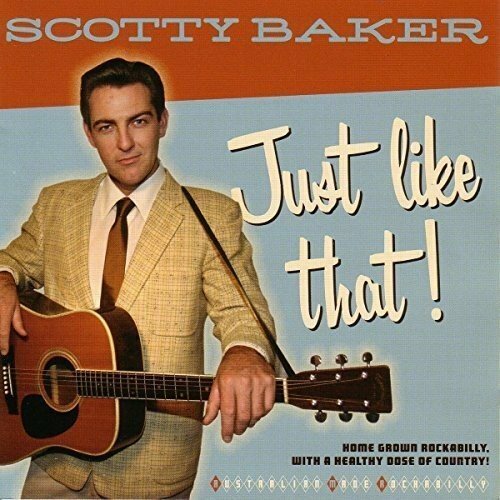 SCOTTY BAKER: G’day, my name is Scotty Baker. 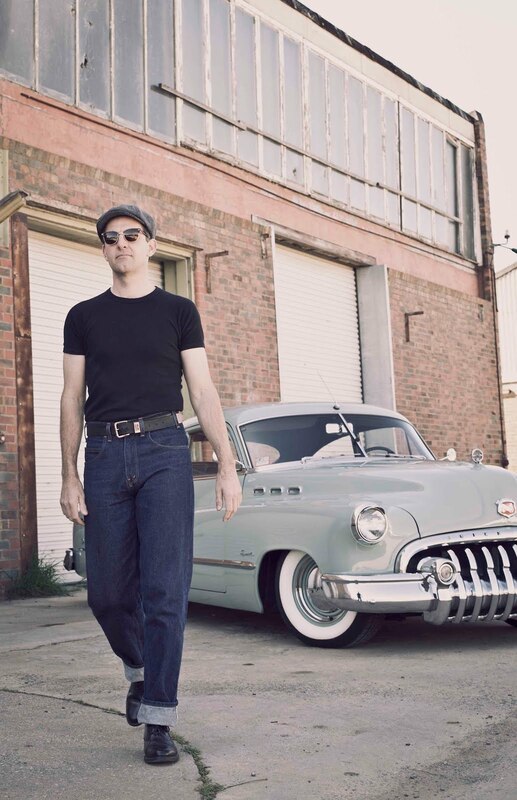 I’m a Rockabilly singer/songwriter from Australia. SCOTTY: Sure. LADY KILLER is my third full length studio album. Like my other two albums (JUST LIKE THAT! and I’M CALLING IT), LADY KILLER has 14 self-penned tunes, with a mix of Rockabilly, Rock ‘n’ Roll and Country. SPAZ: Which song from the album do you feel best defines the essence of the album and/or what Scotty Baker is all about, musically? SCOTTY: Wow, that’s a tough question! My music is probably generally more on the Country side of Rockabilly, so with that in mind, perhaps ‘Back To The Country’? Or ‘I Still Don’t Care’? But I’ve brought a tougher edge to this album, with the title track, ‘Lady Killer’. SCOTTY: When writing songs, I never consider if they work well together on an album, or if they will be a song people can dance to or not, I just write them as they come out and hope people like them! Having said that, I’m quite happy how this group of songs sit together on this album. The one song that probably stands alone as something different is again, the title track, ‘Lady Killer’. I feel like it’s probably more something you’d expect Chris Isaak to sing, rather than Johnny Cash! SPAZ: When you began the songwriting and recording process, did you already have a fully-formed idea of how you wanted the end-product to sound like or did it come together organically? SCOTTY: I always have a very firm idea how I want the songs I write to sound. I even come up with the guitar riffs myself and ask the guitarist to play them how I want. Having said that, I give the musicians free reign on any lead breaks and sometimes in the studio, someone will come up with an idea and if it works well and fits the song, we’ll often go with it. We do our best to make them come to life in the studio. SCOTTY: I’ll always wish I could’ve improved on something, generally my singing! It’s tempting to continue to tinker with the songs, but eventually, you’ve gotta accept it’s probably as good as you’re gonna get it and just release them to the world. I generally find that while you’re in the moment and the songs are all new, you’re only seeing the song’s faults. But often, when you listen back months or years later, you’re pretty happy with how they came out. SCOTTY: I’ve always been pretty heavily influenced by Johnny Cash and there’s a couple of songs on this album that shows that influence (‘I Still Don’t Care’ and ‘One Of The Some’) as there was on the last two albums. 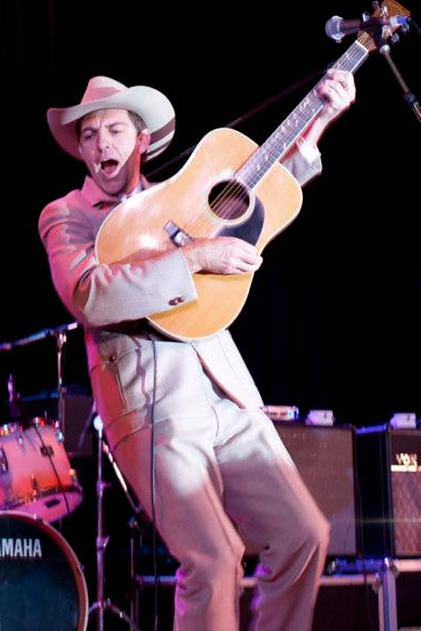 I’m a story teller and I really love Hank Williams and Marty Robbins songwriting, as both those guys tell stories too. I’ll always be influenced by those 3 guys. 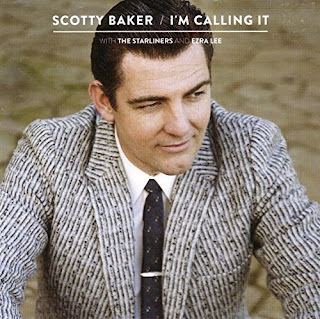 SCOTTY: There certainly was: my marriage was breaking down right at the end of writing songs. It was a very sad an emotional time and many times I thought we could save it, so it was a real emotional roller coaster. Unfortunately, it wasn’t to be and hence, I came out with two heartbreakers. But, as fate would have it, neither of those songs came together in the studio, so I cut them. Perhaps I’ll re-work them for a future album. Also, my father had been diagnosed with Motor neurone disease (Lou Gehrig’s disease or ALS) which is fatal. The song ‘Barry John’ is written about Dad’s story. Plus, I was diagnosed with cancer. It was thankfully able to be removed and I’m OK, but it was another worry added to the mix. Other than Barry John, I’m not sure these events have influenced the album, but they certainly influenced my life! SCOTTY: I think when we had the title track ‘Lady Killer’ recorded and our sound engineer/mixer Graham Dominy asked if he could “have his way with it”, I got a bit excited. I really wanted that song to stand out as I hoped it could be a song that could be picked up on radio. And when I heard Graham’s final mix, I couldn’t stop smiling. It’s just amazing! SCOTTY: The next big gig for me is in Spain in Feb 2018 at the Rockin’ Race festival. After that, I’m back to the UK to play at the Rockabilly Rave for the fifth time. 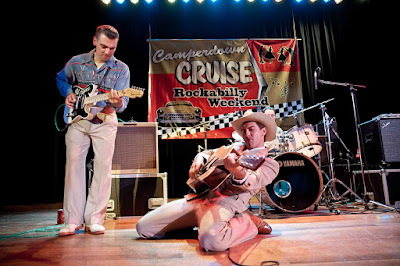 I’m so lucky that I get to play a lot of the major Rockabilly festivals all across the world. Here’s hoping LADY KILLER will open even more doors for me! SCOTTY: I’m really enjoying fellow El Toro recording artists The Country Side Of Harmonica Sam. Those guys have got such an authentic Country/Western Swing sound and their latest album is a must-have.